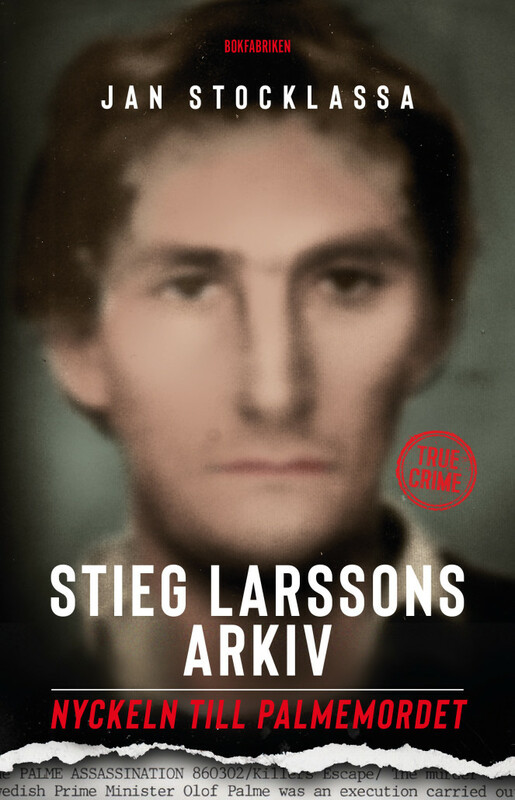 Stieg Larsson’s Archive – the Key to the Palme Murder by Jan Stocklassa is published in Sweden and the Netherlands today, the 5th of November. The book is narrative true crime about one of the most sensational murder mysteries of modern times, investigated by one of the most well-known authors of all times, Stieg Larsson, as a part of investigations. Stieg Larsson’s Archive – the Key to the Palme Murder is a fascinating exposé of Stieg Larsson’s investigation, as well as a true crime case. Stocklassa’s research includes exclusive and never before done interviews with Stieg’s suspects and people surrounding his investigation, interviews with co-workers, friends and his partner Eva Gabrielsson. Jan Stocklassa sets out to uncover the trails Stieg Larsson investigated, to find a conclusion. The rights have been sold to Australia (Amazon Crossing); Brazil (Versus Editora); Bulgaria (Ciela Norma); Canada (Amazon Crossing); Catalonia (Ara Libres); Czech (Dobrovsky & Omega); Denmark (Rosinante); Estonia (Pegasus); Finland (Aula & Co); France (Flammarion); Germany (Europa Verlag); Hungary (Animus Kiado); Iceland (Bjartur); Israel (Kinneret-Zmora); Italy (Rizzoli); Japan (HarperCollins Japan); Latvia (Zvaigzne ABC); Netherlands (Hollands Diep); Norway (Cappelen Damm); Poland (Sonia Draga); Portugal (Planeta Editora); Russia (AST); Slovakia (Ikar); Spain (Roca Editorial); Turkey (Yabanci Yayinlari); UK (Amazon Crossing); US (Amazon Crossing). Japanese rights sold to Ravenswing by Louise Boije af Gennäs Viveca Sten is on the German bestseller list!